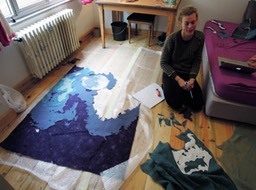 Hillevi is interested in the intersections of technology and textiles. 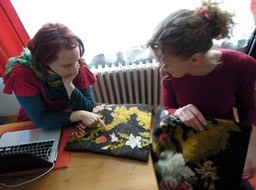 She brought with her several small circuits and computer chips to be embedded into fabrics. 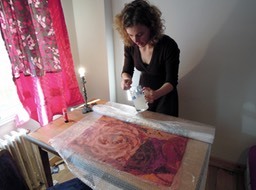 Also interested in the process of felting, she created several large felted works.